bloof books: news: Windowboxing by Kirsten Kaschock now available! 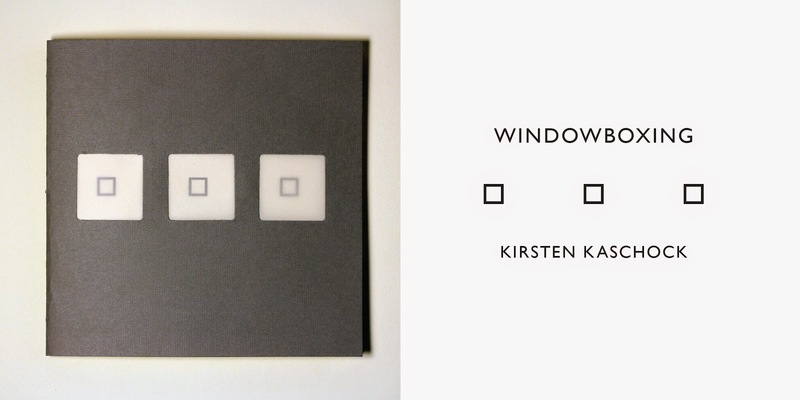 Windowboxing by Kirsten Kaschock now available! Sorry, this book is sold out as of April 2015. Free PDF coming soon. It is also included in full in BOUND: The First Array. Includes 6 black-and-white drawings by Koen Kaschock-Marenda. "You would have my explosions be localized and armed against themselves. You would prefer I not discuss 'men' or 'women.' The genres. It would be better to prevent the spread of the insurgency." A sequence of twenty-four interlinked pieces, WINDOWBOXING: A Dance with Saints in Three Acts by Kirsten Kaschock moves with both muscle and grace through its three acts of steadfast looking—at dance, grief, abuse, the streets of Philadelphia, and especially "the elaboration of woman." Excerpts from this work appeared in Antioch Review, BOMBMagazine, Chicago Review, Everyday Genius, Many Mountains Moving, and Otoliths. Kirsten Kaschock is the author of two books of poetry:Unfathoms (Slope Editions) and A Beautiful Name for a Girl(Ahsahta Press). Her debut novel, Sleight, a work of speculative fiction, was published by Coffee House Press. She has earned a PhD in English from the University of Georgia and a PhD in dance from Temple University. Her most recent manuscript, The Dottery, has won the Donald Hall Prize for poetry from AWP and will be published by the University of Pittsburgh Press is 2014. She is currently the Viebranz Visiting Professor of Creative Writing at St. Lawrence University. When she is not in the North Country, Kirsten resides in Philadelphia with Dan Marenda and their three children. More at kaschock.wordpress.com. WINDOWBOXING: A Dance with Saints in Three Acts is the fifth chapbook in the 2012–2013 series from Bloof Books. Each chapbook in the series will be released in a limited edition of one hundred numbered copies, followed by a digital release. SOLD OUT: Amanda Montei's THE FAILURE AGE!